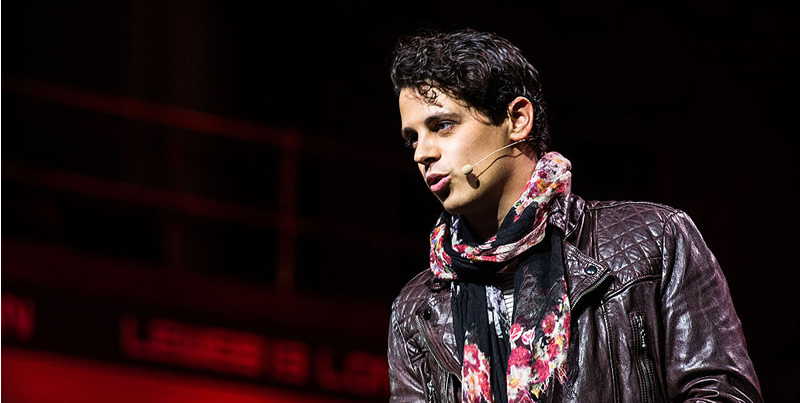 Claim: Milo Yiannopoulos’ Twitter Ban was a cowardly action. He was unfairly targeted and it’s an infringement on his free speech. Fact: The objections to Milo Yiannopoulos’ Twitter Ban are mostly straw man arguments that don’t address the actual reasons for his account’s suspension. Twitter is a private company (not a government/public entity) that stands to lose financially if its influential users leave. It was not Yiannopoulos’ first suspension, and this was merely the latest instance in which he had acted as a ringleader where he instigated a Twitter storm of harassment (including racist messages) against users who were not themselves engaged in a political dialogue. He also spoofed Leslie Jones’ Tweets, which are clearly laid out as grounds for suspension in Twitter’s TOS. 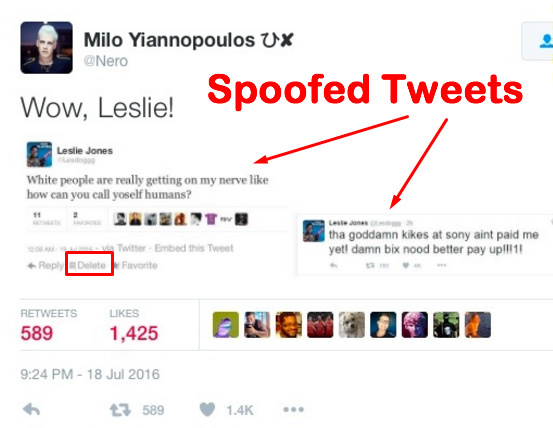 Milo was also spoofing Leslie Jones Tweets and this is grounds for termination under Twitter’s policy. Most of the objections to Yiannopoulos’ ban phrase the situation as a one-off instance. “Milo Yiannopoulos was banned from Twitter for harassing Leslie Jones” is simply not true. 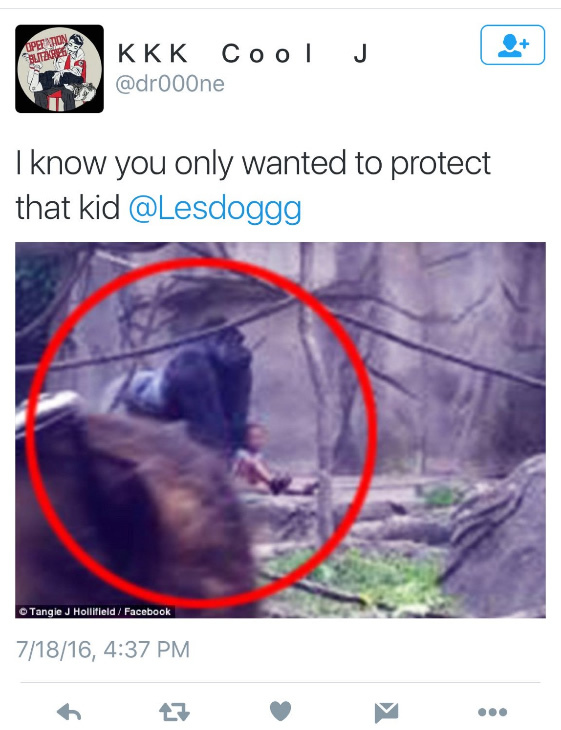 In reality, Leslie Jones was merely the latest target of these attacks. This is important to keep in mind when comparing Yiannopoulos’ Twitter activity to other Twitter users who’ve cited as examples of Twitter’s alleged lack of objectivity. 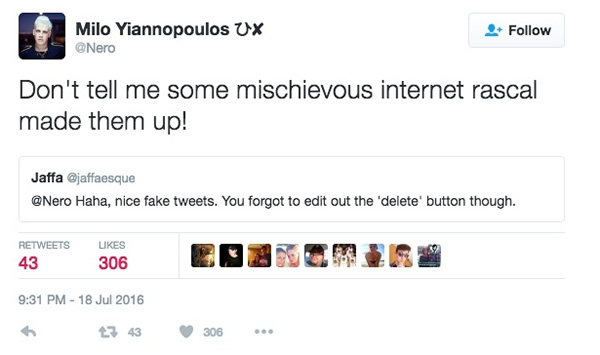 Yiannopoulos’ Twitter attacks didn’t happen in a vacuum. They results in an ensuing deluge of attacks by his followers (of which he had over 300,000). In response to Milo’s Twitter ban, Dave Rubin states something to the effect that people should be allowed to have an “exchange of ideas.” This response makes sense in the context where two parties are having a back-and-forth, and are able to respond to each other’s comments. This is an instance where the the instigator’s Tweet is resulting in a deluge of Tweets (including racist comments). It’s important to reiterate that this was not a one-off instance. The Leslie Jones incident was merely the proverbial straw that broke the proverbial camel’s back. Note the “Delete” option. 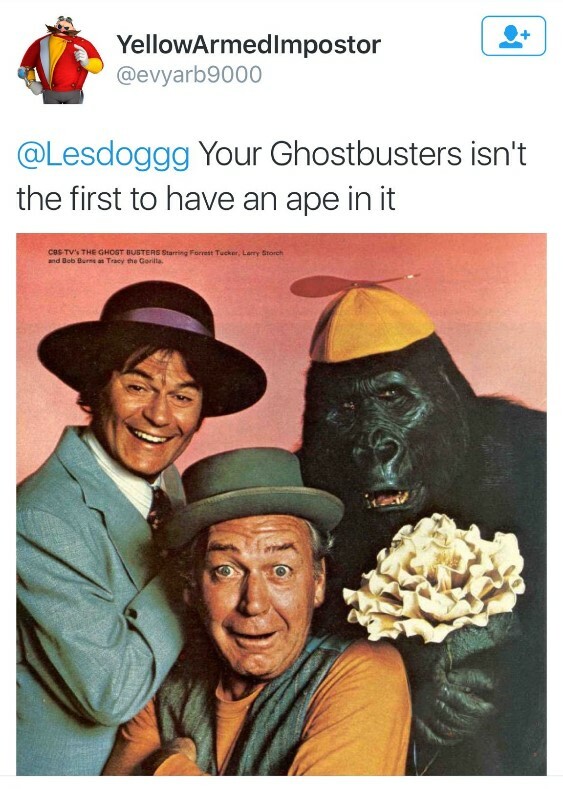 If this were real, the Delete button would only be visible for Leslie Jones, not someone logged in from a different account. This is a dead giveaway that it’s a spoof. 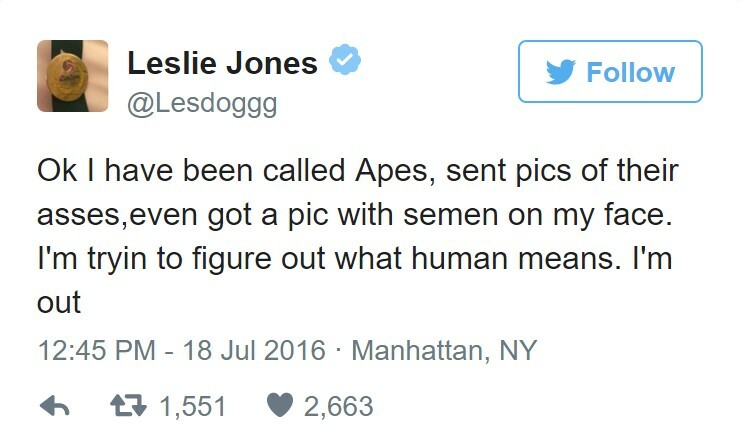 It’s possible that some of the racist comments made towards Leslie Jones were in response to this spoof, which users mistook as really coming from Jones. As stated above, this was not Yiannopoulos’ first Twitter ban. He had endured several temporary Twitter bans prior to finally being permanently banned. This is important to keep in mind since the objections are generally phrased as if the permanent ban came unexpectedly from left field. As a for-profit company, Twitter’s ability to generate revenue (its business model) comes from its large user base and the data they provide. Losing users and activity is not good for Twitter’s business model. This is especially important to keep in mind since Milo himself bills himself as “pro business” (as do many of his supporters). In order to make the case that Milo has been unfairly targeted, it’s often mentioned that other groups get away with egregious actions that go unpunished. This is an apples-to-oranges comparison since Yiannopoulos is one individual being compared to groups. Hence “Milo gets banned while ISIS continues to spout propaganda on Twitter” is a bit of a non-sequitur. ISIS accounts are routinely banned (well over 100,000 of them have been deleted), but this doesn’t stop new accounts from being created, or from existing Twitter users from joining ISIS. Hence, ISIS accounts are being targeted, but they comprise of countless users, not a single user that can be permanently banned. If Twitter were routinely banning Alt-Right Twitter users while allowing ISIS members to act with impunity, it would make for an effective complaint. It’s important to keep in mind that Twitter is a private company, not a public resource. Twitter is under no obligation to allow its server to be used for activities such as Milo’s. Not allowing someone to continually use their service to instigate harassing Tweet storms is not an infringement on anyone’s 1st Amendment rights. Yiannopoulos has not been barred from stating his opinions, he is simply not allowed to (officially) use Twitter’s services to do so. If a store owner decides that a store visitor is driving store foot traffic away by repeatedly harassing other visitors, he/she is well within his/her rights to remove the harassing visitor. This is not an infringement on the harassing visitor’s 1st Amendment rights. Milo’s continued role as harassing “ringleader” and his spoofed “Leslie Jones Tweets” (clearly outlined as grounds for suspending an account), all of which led to racist harassment of Leslie Jones easily justifies the suspension of Yiannopoulos’ Twitter account. The popular narrative conveniently omits these factors in order to promote the idea of an anti-conservative conspiracy. DAPL: What danger does the pipeline pose?